Jacinda by Watter's is a house favorite and it's easy to see why in these photos of real anna bé bride, Chelsea, taken by Rachel Havel Photography. 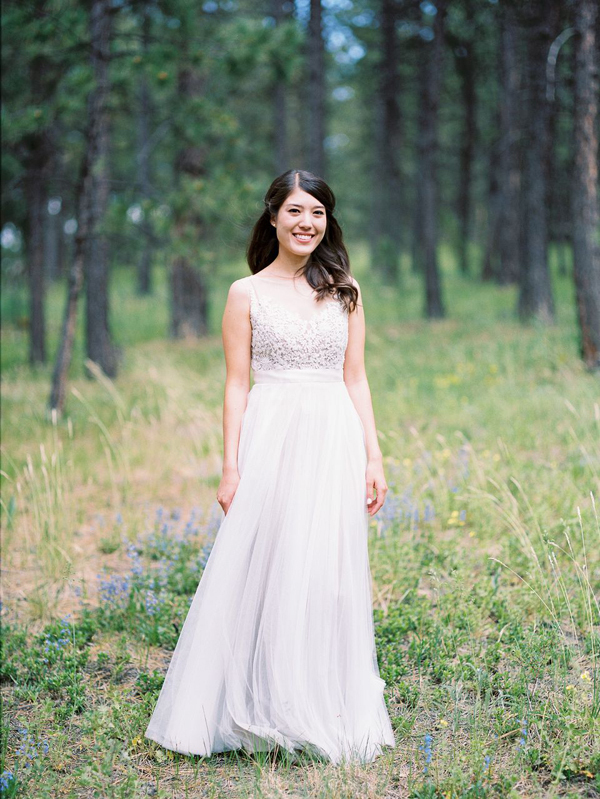 It's flowy, translucent skirt, illusion neckline, and embroidered bodice make it the perfect choice for a destination mountain wedding. We love that Chelsea incorporated a bright pop of color with an orange flower in her hair, the perfect accessory choice. Starting at $1,900, Watter's is a great affordable choice for brides looking to get the best bang for their buck. Book your appointment with us today!